William Styron has 2 media appearances. An appreciation of author William Styron. ROSE STYRON speaking & signing Selected Letters of William Styron Join us for a very special evening with Rose Styron, wife of William Styron, as she shares with us the new volume, Selected Letters of William Styron. Covering a career that spanned almost 60 years and many awards, including the Pulitzer Prize and the National Book Award, this collection pulls back the curtain and provides readers with a unique view of the author's life. Rose Styron is a poet, journalist, translator, and human rights activist. This incredible volume takes readers on an American journey from FDR to George W. Bush through the trenchant observations of one of the country's greatest writers. Not only will readers take pleasure in William Styron's correspondence with and commentary about the people and events that made the past century such a momentous and transformative time, they will also share the writer's private meditations on the very art of writing. ROSE STYRON is a poet, journalist, translator, and human rights activist. She has published three books of poetry. At the forefront of the field of international human rights since she joined the board of Amnesty International USA in 1970, she has chaired PEN's Freedom to Write Committee and the Robert F. Kennedy Human Rights Award. In order to have anything signed at a BookPeople event, a copy of the event book must be purchased from BookPeople. If you purchase your book from BookPeople in advance of the event, please save your receipt and present it at the event. Thank you for supporting Rose Styron & your local independent bookstore! About the Author Rose Styron is a poet, journalist, translator, and human rights activist. She has published three books of poetry: Thieves’ Afternoon, From Summer to Summer, and By Vineyard Light. At the forefront of the field of international human rights since she joined the board of Amnesty International USA in 1970, she has chaired PEN’s Freedom to Write Committee and the Robert F. Kennedy Human Rights Award. Currently, for the Academy of American Poets, she co-chairs, with Meryl Streep, Poetry and the Creative Mind. She will be joined by co-contributor and editor R. Blakeslee Gilpin. Rose Styron "Selected Letters of William Styron"
Rose Styron, the widow of writer William Styron, has compiled many of his letters in this incredible volume. It takes readers on an American journey from FDR to George W. Bush through the trenchant observations of one of the country’s greatest writers. Not only will readers take pleasure in William Styron’s correspondence with and commentary about the people and events that made the past century such a momentous and transformative time, they will also share the writer’s private meditations on the very art of writing. Former President Bill Clinton says “I first encountered Bill Styron when, at twenty, I read The Confessions of Nat Turner. Hillary and I became friends with Bill and Rose early in my presidency, but I continued to read him, fascinated by the man and his work, his triumphs and troubles, the brilliant lights and dark corners of his amazing mind. These letters, carefully and lovingly selected by Rose, offer real insight into both the great writer and the good man." "Selected Letters of William Styron"
William Styron, Lie Down in Darkness. 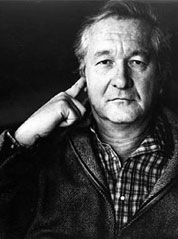 William Styron is currently considered a "single author." If one or more works are by a distinct, homonymous authors, go ahead and split the author. William Styron is composed of 18 names. You can examine and separate out names.